Many are afraid of being caught up in the criminal justice system and feel that if it was not their fault they should not have to go to court. The reality is that whether you go to court depends on a number of things. You may be summoned, you may choose to go, or you may have to go to court to protect your best interests. Sometimes the other driver will be ticketed and fined because the police at the scene determined one or more traffic laws were violated, like speeding or following too closely. When this occurs, you automatically become a witness to the violation. In most cases, people will fight the ticket because they don’t want to pay the fine. If the other driver chooses to fight the ticket, you could be summoned to court as a witness. But Do I Really Have to Go? If you receive a summons, you do have to go to court. It is always advisable that you speak with your car accident lawyer before attending the trial, especially if you are also involved in a personal injury lawsuit for the same accident. If you were in a car accident and are filing a personal injury lawsuit, the odds that you will have to go to court after the accident are extremely high. Cases like this almost always involve disputes over the amount of damage done to the vehicle, cost of current and future medical expenses, cost of repairs to the vehicle, and anything else that will have a dollar amount assigned to it. The other driver’s legal team will always strive to attain the lowest settlement amount. There are any number of ways they may go about this, including blaming you for the accident, downplaying your injuries, or blaming an outside factor such as road conditions. If you want to seek financial compensation for an accident, you’ll probably at least need to be willing to go. The other driver and his or her insurance company will probably do everything possible to avoid going to court. This is because going to court means accepting the court’s verdict and paying the awarded settlement amount. You can expect to receive offers for out-of-court settlements, but the only way to know if the offer is fair is to have an experienced car accident attorney review it. If the other party won’t make a serious offer, you’ll have to be willing to go to court to either scare them into doing so or receive a court-mandated settlement. You deserve financial compensation for the injuries or damages you have suffered. If you’re wondering, “Do I have to go to court after a car accident?”, contact us to schedule a consultation. 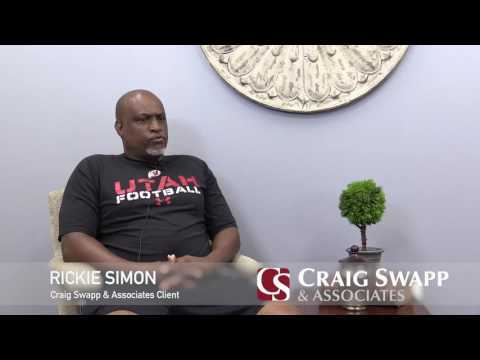 To discuss your case and your options in further detail, contact Craig Swapp & Associates at 1-800-404-9000 or contact us online through the form below.